Diffraction & Interference There are 47 products. Lens, Bi-Convex 100mm Diameter, 20cm Focal Length. 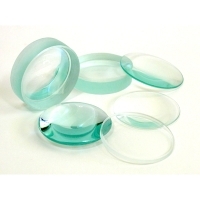 Made of high quality optical glass with finely ground edges, these unmounted lenses are great for optical benches and other experiments in optics. Image may vary. Lens, Bi-Convex 75mm Diameter x 20cm Focal Length. Lens, Bi-Convex 50mm Diameter x 20cm Focal Length. 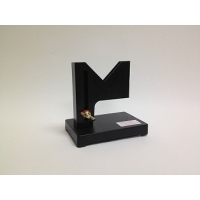 Lens Holder 143 X 60 X 163mm. New redesigned adjustable lens holder will hold up to 4mm wide lens and is 75 mm across. Height is adjustable 60 mm up or down. Spectral Analysis Kit. For 24 Students. 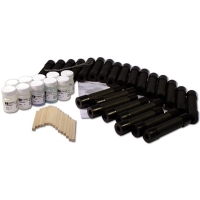 Assemble a spectroscope and compare a variety of light sources. Demonstrate the component colors of white light and experiment with color filters. 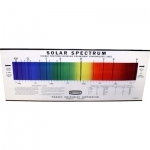 Includes 24 spectroscopes, 15 handles, 4' length of wire and one each, bottles of: chloride; potassium chloride; potassium nitrate; sodium hydrogen carbonate; sodium chloride; strontium chloride; strontium nitrate; cupric chloride; cupric nitrate; and lithium chloride Includes instructions and MSDS. Prisms, Acrylic Set of 6. Perform refraction experiments and study the behavior of light with this handy set of 6 prisms. All are made of 15 mm thick acrylic with polished sides. 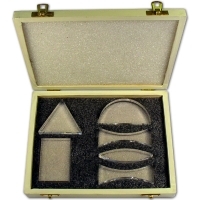 Includes rectangular (75 x 50 x 15 mm); semicircular (90 mm base); equilateral (75 mm sides); double convex lens (90 mm, 23 mm at center); two double concaves lenses (90 mm, 10 mm at center); wood box with storage compartments.